Welcome to Club Onyx Charlotte, the Largest Urban Gentlemen’s Club in the southeast with over 20,000 square feet of Adult Entertainment. 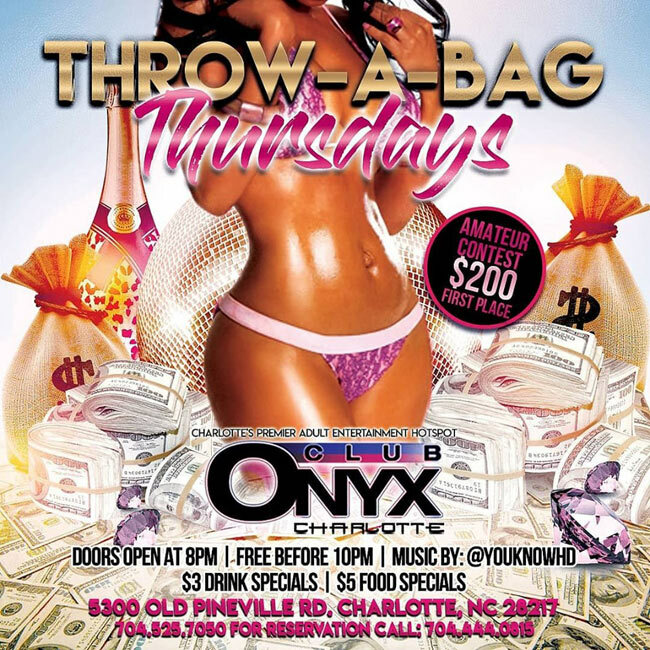 Onyx has over 75 of the finest entertainers in the QC, two full service bars serving premium liquors, wines and champagne, a full service kitchen serving a full menu along with the finest wings in Charlotte. Club Onyx offers spacious seating areas with two VIP areas to accommodate your bottle service or special events. Come sit back and be entertained by the finest women from the surrounding five state area on one of the 5 stages. Club Onyx is Charlotte’s only Urban Gentlemen’s Club, where the cities hottest DJ’s play the best in hip hop and R&B until 5am every Friday and Saturday!! !